What can the VSCA do for Virginia Schools? Regional Workshops: Regional meetings are designed to provide opportunities for students and advisors to learn effective and responsible leadership skills and exchange ideas. The state is divided into eight (8) regions, and each region has the opportunity to meet and discuss topics and issues pertinent to their region. Annual State Student Council Convention: The VSCA Annual Convention is the flagship of all VSCA functions. Nationally known keynote and seminar speakers, exciting seminar topics, multimedia presentations, and a banquet with a video dance party following are just a few of the highlights of the three-day Annual Convention. 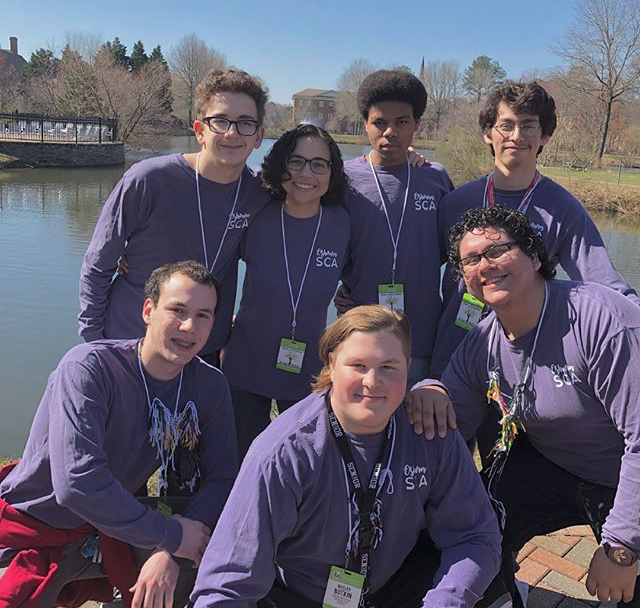 The convention is designed to bring students and advisors statewide to a forum in which they can learn to become effective leaders, to understand the responsibilities of leadership, to identify specific skills as they pertain to particular council offices, and to practice the democratic process. The elections for state officers and regional representatives/directors are the culminating events of the convention. Advisors Workshops: Workshops addressing the specific needs of advisors are offered regularly. They provide training for advisors in building student councils and provide ideas, techniques, and motivation for advisors. The Student Leader Newsletter: The Student Leader is a monthly electronic newsletter which features articles and information and is used as a forum for student councils around the state to share their activities and ideas. Membership in VSCA is open to any public or private school (preK-12) in the Commonwealth.